Deciding whether to add data applications to your communication system is an important step. And with a useful overview of our extensive range of applications, available for multiple tasks on MOTOTRBO devices, this section helps you evaluate whether itâ€™s a step worth taking. Without doubt, many organizations are already benefiting from the power of data applications through enhanced productivity, efficiency and safety. So, is it for you? And if so, which specific applications meet your requirements and how do you get started? Do all your employees have the necessary knowledge or experience to handle every task efficiently? If not, theyâ€™ll need to locate and ask colleagues for help or rely on others, all of which takes up time. And if they try to do jobs themselves without the right skills, quality and safety could be compromised. We all want to be proactive, or ready to respond in an instant to any unforeseen eventuality. But in a hectic business environment, with no time to assess operations or spot warning signs, itâ€™s so easy to be the reverse: reactive or slow to respond. When that happens, we waste precious time fighting the fallout. The bigger your business and the more sites you operate, the harder it is to keep everything slick and fluid. You need precise planning, organization, execution and delivery to efficiently manage resources â€“ even the slightest delays can have serious commercial implications. How well do you protect your employees, clients and guests? Safety is easily compromised, but the implications can be disastrous â€“ from injuries that weaken your workforce to tragic fatalities, leading to fines and prosecution that could close your business. Data is great, but you can have too much of it. Too many options, too many feeds, too much data that isnâ€™t relevant. Information overload bogs you down and makes prioritizing important tasks even more difficult, leading to oversights and mistakes. Do your devices allow your people to do everything they need to do? If they donâ€™t, then an employee may need to carry multiple devices providing different services and information to perform tasks â€“ an expensive and cumbersome option. Are your systems coordinated? A lack of central control combined with devices that donâ€™t talk to each other creates operational inefficiencies. Time delays, information oversights â€“ employees with a poor view of the job at hand and no clear sense of direction are more likely to make flawed decisions. Are you able to instantly spot a system failure before the problem becomes a crisis? If you rely on manual checks without remote monitoring and automated alerts, chances are failures will go undetected â€“ something that poses a serious threat to your business. Earlier in this section we identified some general business and communication shortfalls that can challenge, or even derail your business. And weâ€™ve highlighted data applications as a possible solution. But how do you decide which apps are right for you? Or more specifically, having pinpointed the gaps, which apps are most suited to fill them? With alarm and telemetry apps, you can instantly receive information from sensors and detection equipment and take action. Automatically deliver alerts to the right people via text messaging and you empower an immediate response during an emergency. Because the alarms are sent to their device, they can be read on the move so thereâ€™s no need for them to return to base. These apps help you avoid downtime and protect people and assets. If your people use multiple devices, look at WAVE, a powerful Push-to-Talk platform that connects all your disparate devices and networks, so everyone can easily communicate between smartphones, radios, computers or landlines. It turns Android and iOS devices into multi-channel PTT handsets, allowing fully secure, real-time voice communications anywhere thereâ€™s a network connection. With a complete overview of activity, itâ€™s easier to track people and assets and identify problems. Some apps include location tracking using GPS or Bluetooth iBeacons and include lone worker and man down features for greater safety and efficiency. Workers can also benefit from the latest information and communicate instantly with colleagues to gain an up-to-the-minute understanding of what is happening around them â€“ vital when dealing with the safety of staff or members of the public. A control room software application for MOTOTRBO radio networks that includes voice dispatch, texting, job ticketing and event logging. Optional features such as GPS tracking, indoor location, voice recording, interoperability, telephone interconnect and a web client for remote system access can all be added. Itâ€™s a powerful software solution providing integrated dispatch control over multiple sites and channels. 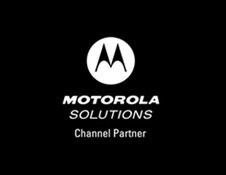 Motorola Solutionsâ€™ range of apps make us an ideal communication partner for your business. As you can see in our online catalogue, everything is based around the power of customization, allowing you to choose the portfolio of apps best suited to your own specific challenges.